Structural glass refers to the strength of glass where the structural load is mostly taken by the glass itself and where the glass supports its own weight rather than a lot of supporting framework. This can create a brighter open space with clear unbroken views in and out of the designed structure thus giving the appearance of lightness and transparency compared to more conventional types of equivalent structures including applications from huge walk on glass floors, structural glass roofs, structural glass beams, moving glass walls and motorised sliding doors, stylish glass balustrading and stunning glass staircases. 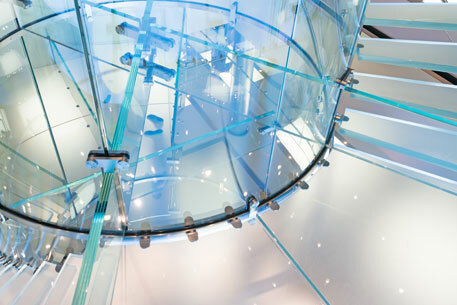 With the latest developments in glass and the use of our own developed technologies, this now allows us to offer our clients exciting new and unique possibilities. As a result, it’s possible to use our structural glass as the dominant material in a new construction or refurbishment of an existing property. Imagine how this could transform your home, workspace or environment and enhance your lifestyle. At Glass Design and Build London, we work closely with our long-established partners to keep exploring ingenious and creative ways in which structural glass incorporating our technologies can be used to stunning effect. Consider the possibilities what the installation of a glass floor can create in your home. In this context it’s of course nearly always a ceiling also, allowing for maximum penetration of light to flood down and fill into the space or areas below. We support our structural glass floors on stylish structural glass beams which now can incorporate our new technologies, making a stunning feature in any home. Think glass in every direction! Walls, ceilings, doors, floors, all constructed from structural glass. Imagine a total structure where over 90% of its construction is glass – we can now make this a reality. 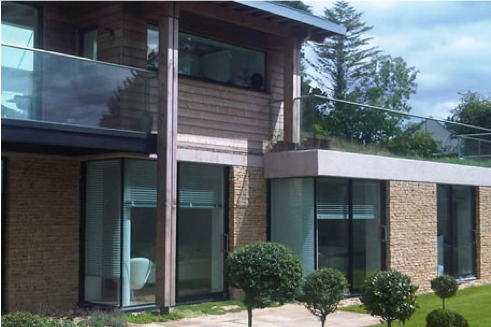 If you’re looking to extend your home and want to create not just more space, but to connect fully with the outside environment, then we can maximise the possibilities that structural glass can bring to your project. 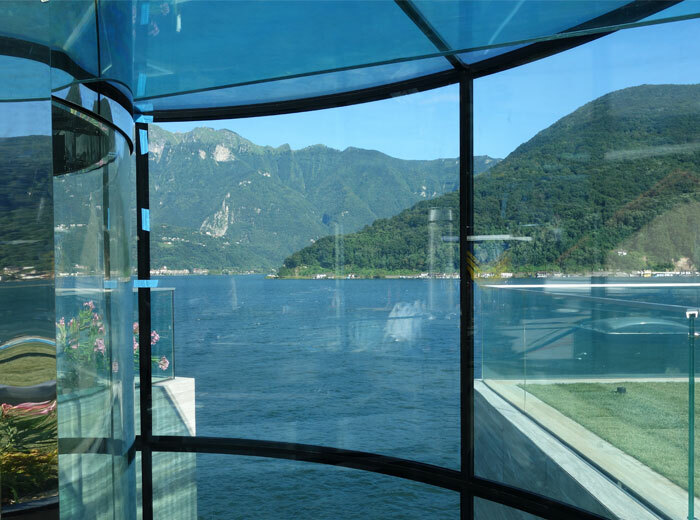 Frameless structural glass balustrading is the perfect solution to give you uninterrupted views wether it be the city, countryside or coastal. 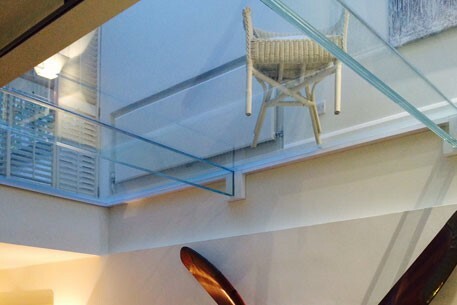 Our structural glass provides you with strong, safe and stylish designs for any roof terrace or balcony. 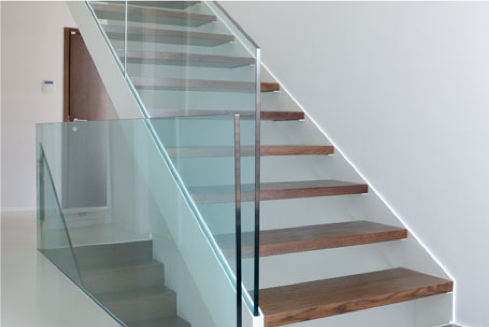 Our frameless staircase balustrading gives maximum light transmission into stairwells, giving an ultra-contemporary look to which we also can create floating designs to any stairwell or balcony. 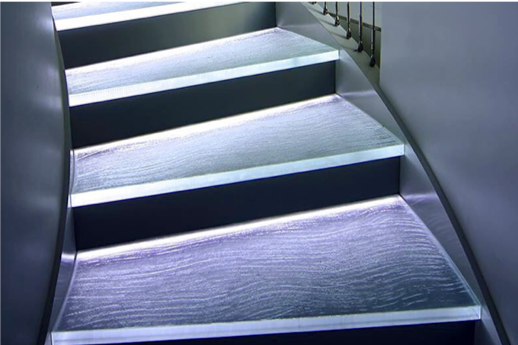 As well as a glass balustrading, why not go one (glass) step further, and have the stair treads themselves made from structural glass? We can use extra clear glass in the design to give maximum light penetration (below left) or maybe even textured and illuminated using our own new glass technologies (below right) for a stunning feature statement. At Glass Design and Build London we are only limited by our imagination! The use of structural glass has transformed what is possible in the scope, scale, style and design of what is now possible for us to achieve in the applications as shown above. With the development of our new G & T (glass and technology combined) and our innovative approach and designability – we are able to offer unique and stunning ideas to enhance your refurbishment or new-build project. 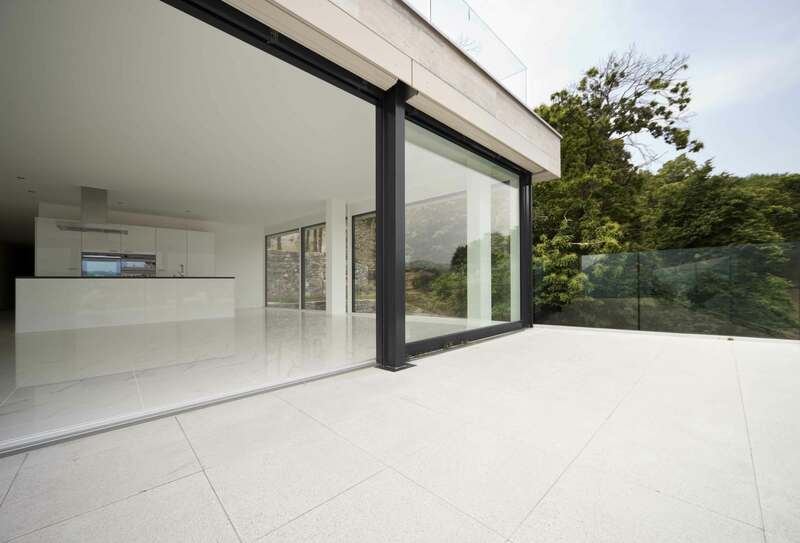 To find out how structural glass could be used to transform your home or property, visit https://glassdesignandbuild.co.uk or call us on 0207 074 8989.